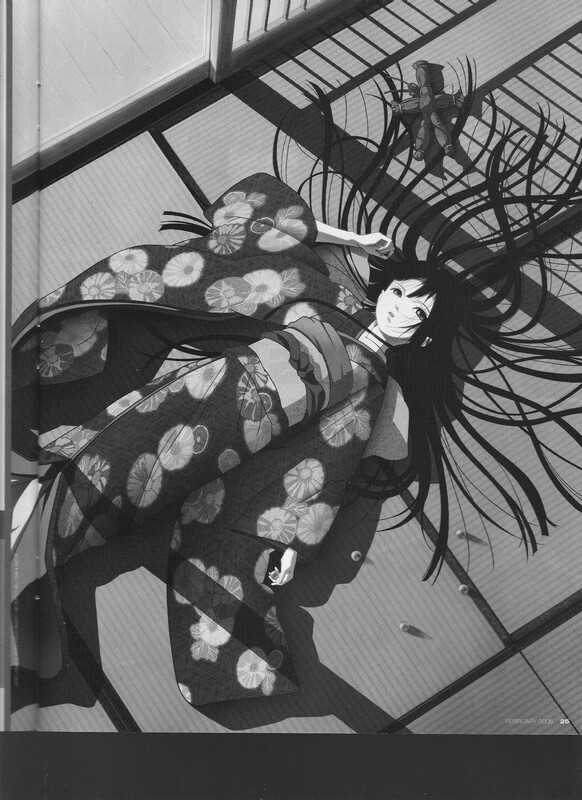 Short article on director Takahiro Omori and Hell Girl, where he mentions samurai revenge drama Hissatsu as one of the major inspirations for the series. 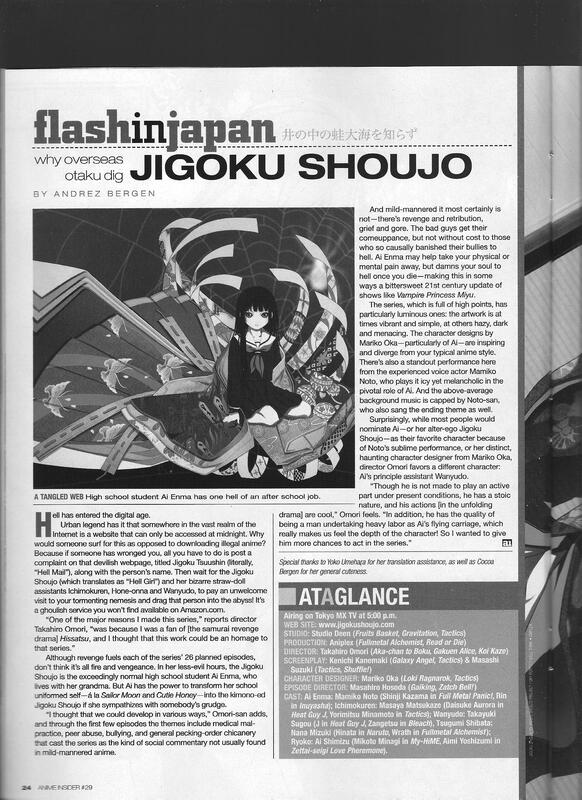 This entry was posted in Old Magazine Articles and tagged Anime, Borderline Plagarism for the Freedom of Information, Hell Girl, Takahiro Omori by torisunanohokori. Bookmark the permalink.